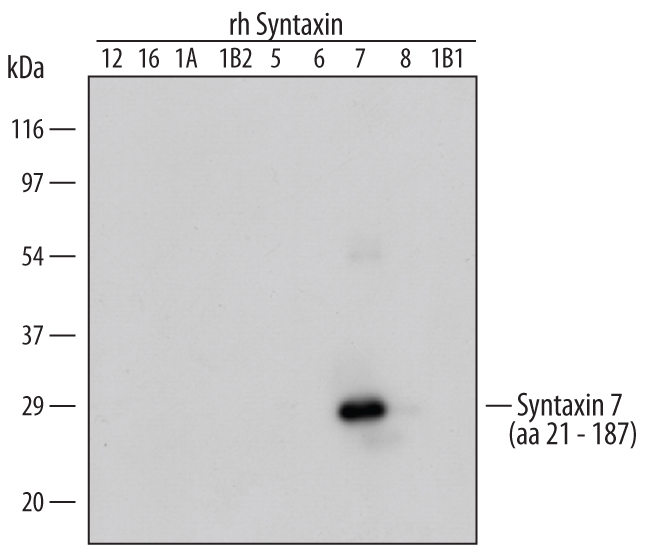 Syntaxin 7 is a type IV single-pass membrane protein that is part of the SNARE family of proteins. 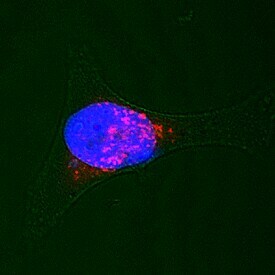 This widely expressed protein is localized to endosomal and lysosomal membranes, and is involved in vesicle transport, specifically the trafficking of early endosomes to late endosomes and lysosomes. 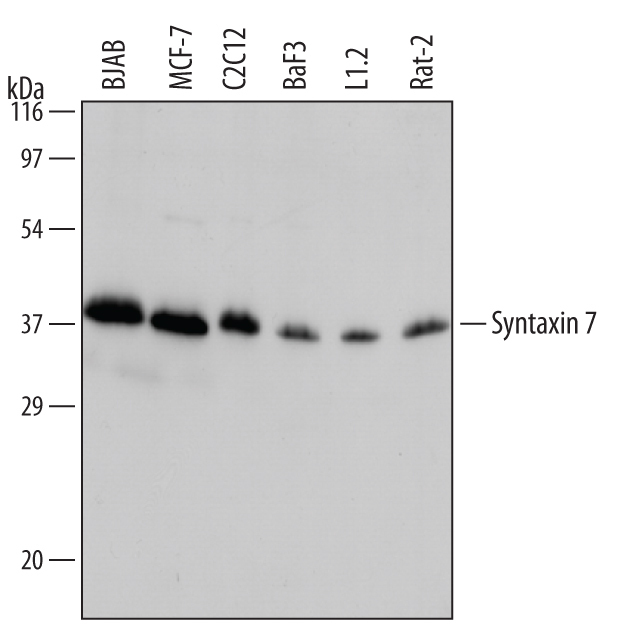 Syntaxin 7 binds with VTL1B, Syntaxin 8, and VAMP-8 to form a SNARE complex involved in the homotypic fusion of late endosomes, and with Syntaxin 8, VAMP-7, and VTL1B to form a SNARE complex involved in the heterotypic fusion of late endosomes with lysosomes. Human Syntaxin 7 is 261 amino acids (aa) in length with a predicted molecular weight of approximately 30 kDa. It contains an N-terminal coiled-coil region (aa 47-69) and an C-terminal t-SNARE coiled-coil homology domain (aa 165-227). It shares 93% aa sequence identity with the mouse and rat orthologs. 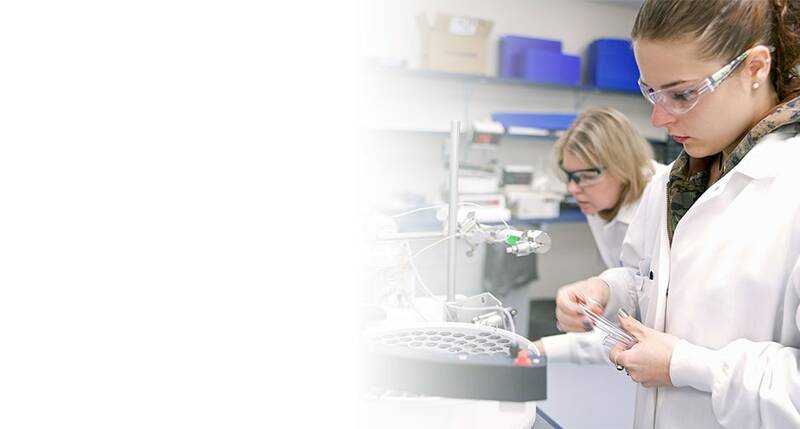 "Syntaxin 7" has 1 results in Products.